First Church of Christ, Scientist, Naperville, Illinois is sponsoring a lecture on Saturday, September 6th to address Naperville’s heroin/drug addiction problem. 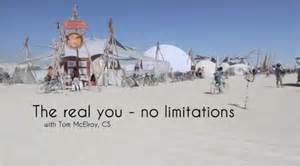 Tom McElroy, a Christian Science practitioner, will be giving an interactive talk, “the REAL YOU – no limitations” at 3:00pm at the Free Speech Pavilion (intersection of Jackson and Webster near the dandelion fountain) on the Riverwalk. After graduating from college Tom ran a branch of finance bank, and at the same time, volunteered as a prison Chaplain where he worked with inmates in men’s, women’s, and youth facilities. Now as a Christian Science practitioner, he talks and prays with people from all over the world in order to help others find spiritually-based solutions to challenges ranging from health and finance issues to relationship difficulties. Tom McElroy is a Christian Science practitioner which means that he talks with people from all different walks of life about spiritual ideas and how they can make a difference in day-to-day experience, including healing physical problems. As a member of the Christian Science Board of Lectureship, Tom also travels throughout the year giving talks in public venues about Christian Science and its system of healing. He’s spoken throughout the US and Canada, as well as in Europe, Australia, and Africa. He lectures in both English and French. Venues that Tom has spoken at include, prisons, public schools, universities, churches, and public and governmental organizations like homeless shelters, and for the Los Angeles County Mental Health Department. Before his work as a Christian Science practitioner, Tom worked in finance, and was also a volunteer chaplain with Los Angles County Sheriff’s department.